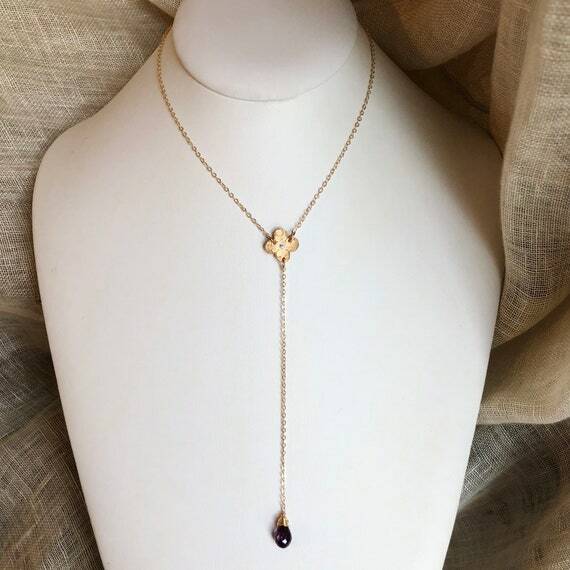 This elegant Y necklace features an original hand made bronze quatrefoil/clover component accented with sparkling cubic zirconia. 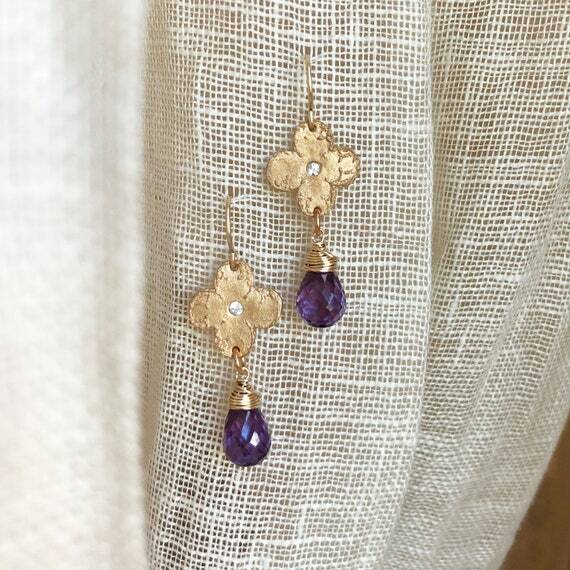 A beautiful faceted alexandrite droplet dangles from the bottom of the chain. 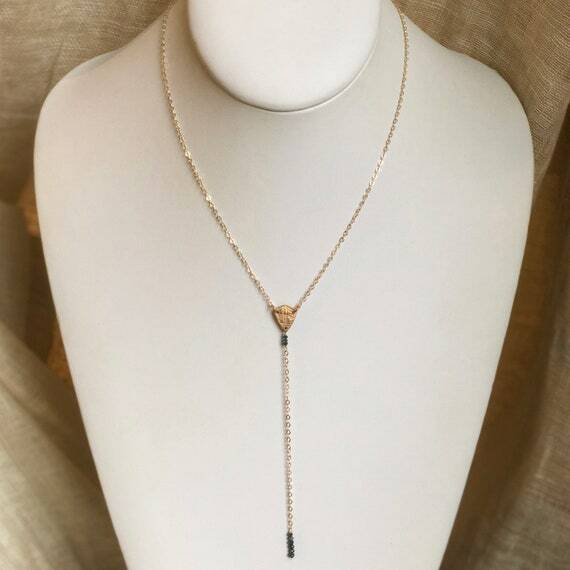 The necklace is adjustable to 14", 16" and 18"-14k gold filled thin cable chain. 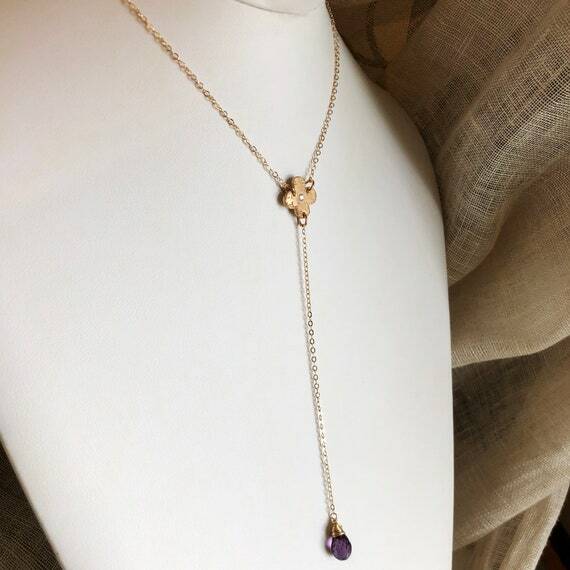 Additional 4.5" of length from the center of the necklace. Alexandrite is a bluish purple gemstone that changes slightly in color depending on the type of light. 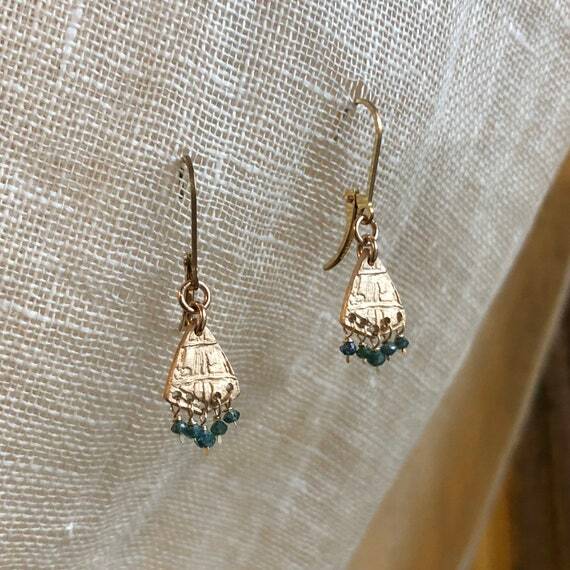 It can be used as Junes birthstone and is said to help you hear your inner voice, and find joy and satisfaction in your everyday life.